TUPELO, Miss. 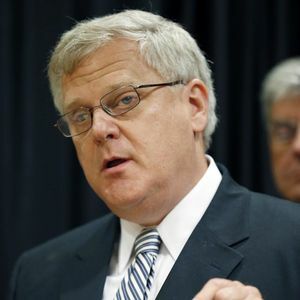 (AP) — The late U.S. Rep. Alan Nunnelee was a state senator for 15 years before being elected to Congress in 2010, but his greatest source of pride didn't come from a political office. "The title I'm most proud of is 'Dad,'" Nunnelee said in a video clip played at his funeral Monday. It was a speech he gave in 2012 when the oldest of his three children graduated from law school. Add your thoughts, prayers or a condolence to Alan's guestbook.